The agency is blaming major funding cuts by the United States for this situation. There are growing concerns about the deteriorating humanitarian situation in Gaza and its potential to prompt conflict with Israel. Hebron marks, on Sunday, 24 years since the Ibrahimi mosque massacre took place, when an Israeli settler opened fire at Muslims observing the dawn prayers on a Ramadan morning, killing 29 worshippers and injuring 150 others before he was caught and killed by the crowds. 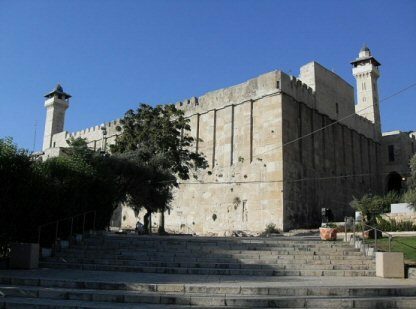 WAFA additionally reports that, immediately following the massacre, Israel decided to punish the victims by closing down the old town of Hebron, where the Ibrahimi mosque is located, for six months. An all-Israeli committee was formed to probe the massacre, instead of punishing the settlers, to divide the mosque between Muslims and Jews, and to close down several commercial streets, most famously Shuhada Street, which remains closed for Palestinians until today. Army checkpoints were also set up to restrict the movement of Palestinians, while Israeli settlers continued to move freely and without any restrictions. The new facts on the ground created after the massacre to punish the victims are still in place until today. A Palestinian man on Saturday were injured by Israeli gunfire during clashes that erupted in Bourin town to the south of Nablus city in the northern West Bank. 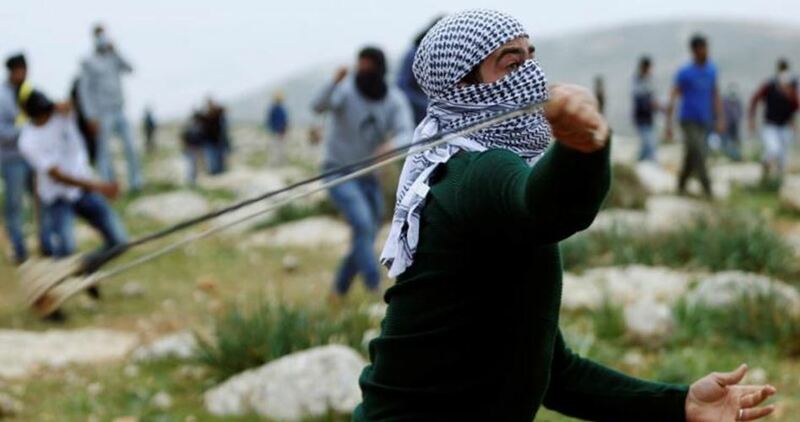 The clashes broke out after settlers of the illegal Yitzhar nearby settlement attacked the town in the afternoon. Local sources told the PIC reporter that Israeli occupation forces (IOF) unleashed rubber and live bullets and fired tear gas canister towards the youth. As a result, a man was shot and injured in his hand by an Israeli live bullet. He was transferred to hospital for treatment. Municipalities in Gaza has announced they would pump sewage straight into the sea from Palestinian coastal enclave due to fuel shortages and desperate humanitarian situation in the Strip. “The beaches of the Gaza Strip will be completely closed and sewage will be pumped into the sea because the municipalities are unable to provide fuel for treatment plants,” said Nizar Hejazi, head of the Gaza City municipality. Israeli occupation has imposed a crippling blockade on Gaza for more than a decade, while Egypt has also largely sealed its border in recent years, with both citing security measures. An Israeli special force at dawn Saturday kidnapped the injured Palestinian youth Akram al-Atrash, 23, from al-Dheisheh refugee camp in Bethlehem. The PIC reporter said that a special force riding a civilian car at 2:00 am raided the camp, broke into al-Atrash’s house and arrested him. Al-Atrash, whom the Israeli occupation forces (IOF) have been chasing for four months, was taken to an unknown destination. 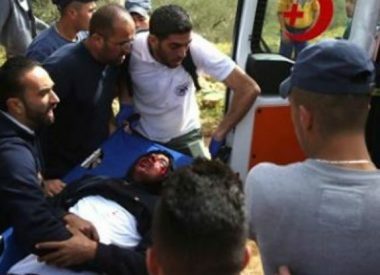 Local sources told the PIC reporter that Palestinian youths in the camp tried to thwart the arrest operation by confronting the IOF soldiers with empty bottles and Molotov cocktails but they could not as the soldiers showered them with live bullets and tear gas canisters injuring a young man in the foot. The IOF had raided al-Atrash’s house and arrested his father many times before in an attempt to force him to hand himself in. They also threatened to assassinate him if he did not do so. In an interview with the PIC reporter, al-Atrash’s father, Imran, held the Palestinian Authority responsible for his son’s life and blamed it for not offering him any assistance to complete his treatment or at least protecting him from arrest while he is in such a difficult health condition. Akram al-Atrash was seriously injured about four months ago by explosive bullets in the chest and shoulder during clashes with the IOF in al-Dheisheh camp. 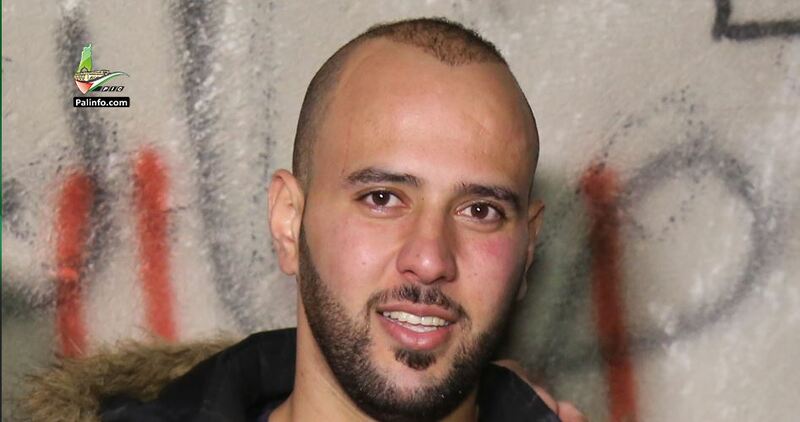 After he was denied treatment at Hadassah Hospital in Occupied Jerusalem, Akram tried to obtain a medical referral to complete his treatment anywhere else but he could not as he was constantly chased by the IOF. Over the past week, the debate has raged at research and economic centers over the news that Egypt signed a deal to import gas from Israel. Speculation has arisen over the goal of this agreement after Egypt had effectively started producing gas from the Zohr field, the largest in the Mediterranean. The Israeli energy group Delek said on Monday agreements have been signed between Delek and its associate Noble Energy of the United States to supply 64 billion cubic meters (2.26 trillion cubic feet) of gas from Israel’s Leviathan and Tamar offshore fields to the Egyptian firm Dolphinus over a 10-year period. Indeed, Cyprus and Egypt signed on Thursday a preliminary agreement to set up pipeline between their two countries. Egyptian Petroleum and Mineral Resources Minister Tarek El Molla highlighted after signing the deal the significance of his country’s location on the eastern Mediterranean, saying that its facilitates the export of gas to the east, west, Gulf and Mediterranean. “This will attract other investments and petroleum industry players from neighboring countries,” he added. The Egyptian-Cypriot rapprochement has been met with major Turkish opposition. This is not the first time that Ankara objects to their rapprochement. In 2013, it had rejected a marine border demarcation agreement signed between Greek Cyprus and Egypt. Defenders of the Egypt-Israeli deal believe that it will boost Egypt’s economy, noting that the country already has the needed infrastructure to make progress in its implementation. A pipeline already exists between Egypt and Israel. They added that the deal would not have been possible without the parliament’s ratification in July 2017 of a law on the establishment of a gas regulatory authority. The law was approved by President Abul Fattah al-Sisi a month later. Experts estimate that gas reserves enjoyed by Turkey, Greece, Syria, Lebanon, Israel, the Palestinian territories, Egypt and Cyprus amount to over 370 trillion cubic feet, the second largest in the world. “Six years ago, Egypt was exporting gas to Israel through the East Mediterranean Gas Company (EMG), which was owned by Egyptian businessman Hussein Salem before he was arrested on financial and legal charges,” he explained to Asharq Al-Awsat. He therefore highlighted the significance of the deal with Israel, saying that Egypt was set to make major revenues. It will also allow it to restart the gas liquefaction plants that will in turn benefit Egyptian and foreign investors in this field. Egypt has two gas liquefaction plants. The first is the Egyptian Liquefied Natural Gas Company (ELNG), which is located in Edku city in the Beheira governorate. The second is located in the Domyat region and belongs to the Spanish-Italian Union Fenosa Gas Company. Experts said that the construction of the two plants cost 3.2 billion dollars and they are now worth some $16 billion. Dr. Jalal Othman of the International Renewable Energy Agency told Asharq Al-Awsat that Cairo is set to make major economic gains from its deal with Israel, noting that only 634 gas liquefaction plants exist in the world and two are located in Egypt. The eastern Mediterranean enjoys 13 gas fields. Israel has five offshore fields and Lebanon, Syria, Cyprus and the Palestinian territories enjoy two each. Egypt has the Zohr field, which was discovered by Italy’s Eni company. It estimated that it holds 30 trillion cubic feet of gas over a surface of 100 square kilometers. Egypt is currently seeking to speed up gas production in its fields in order to become self-sufficient by 2019. He told Asharq Al-Awsat that it would be difficult for Israel, Greece and Cyprus to construct gas liquefaction plants because they have become too expensive. In addition, he explained that gas is not stored like petroleum, but it is pumped in pipes from the source to the receiver or it is liquefied. Israel cannot currently do that and the plan to establish a pipeline to each of Cyprus and Turkey has come to halt, much to its dismay, he said. The Egypt-Israel gas deal allows Cairo to earn $2 billion on an annual basis in exchange for gas liquefaction. It will also allow it to connect Greek Cypriot gas to liquefaction plants and later export them to Europe. Eyad revealed that Lebanon will soon begin drilling oil wells and it will rely on liquefying it in Egypt. The deal was deemed by Israel as “historic”, while international sides said it was the most significant agreement between Egypt and Israel since their 1979 peace deal. Turkey, meanwhile, has looked on with disappointment. At a time when Egypt spoke about becoming a regional energy hub, Cypriot President Nicos Anastasiades stressed his country’s right to drill for oil and gas in its territorial waters, in spite of the opposition of Turkey and Turkish Cypriots. Ankara deemed the 2013 marine border demarcation signed by Egypt and Cyprus as a violation of Turkey and Turkish Cypriot rights. “I don’t think Turkey is willing to spark a confrontation, but I think it cannot be fully dismissed,” said analyst Andrew Neff from IHS Markit according to Agence France-Presse. Eyad said that the Egypt-Israeli deal has harmed Qatar and Turkey. The latter will be forced to impost liquefied gas from Egypt, while the former will lose part of its European market despite its major liquefaction capabilities. Turkey will have to buy gas from Egypt in the future, as will Europe, due to cheaper costs he predicted. Qatar will likely lose 70 percent of its European market and it will only have the Latin American market to turn to. “This deal dealt a heavy blow to both Ankara and Doha,” he stressed. “Turkey has been provoking Cyprus through all possible means to deter it from drilling for gas. President Recep Tayyip Erdogan wants to have eternal control over Cyprus’ wealth and the deal struck between Cairo and Nicosia has definitely made him worried about the future,” said Eyad. Ankara has however been operating on the Israeli front by striking energy deals there, including setting up a natural gas pipeline from Israel to Turkey and from there to Europe. In a press conference held on Friday, Vice-President of the Syrian Coalition Salwa Aksoy called for preventing Russia from voting on any draft resolution related to Syria as Russia is a main party to the war against the Syrian people. In an interview with Palestine TV while in the US, 82-year-old Abbas rejected reports he had been rushed to hospital during his visit. “It was a suitable opportunity to be here to conduct some medical tests, and these tests have been conducted and now we left,” he said after leaving hospital. Palestinian officials said Abbas would be returning to the West Bank on Friday. He flew to the United States to address the UN Security Council in New York on Feb. 20. He was also in the US to meet with political allies amid a breakdown of communication with the US administration following President Donald Trump’s controversial recognition of Jerusalem as Israel’s capital. The Palestinians, who see the eastern part of the city as the capital of their future state, have said the US has disqualified itself as a mediator in talks with Israel and cut political ties with the administration. Trump is expected to propose a peace plan in the coming months. Nizar Hejazi was referring to the recent cuts from ‘UNRWA’, a department of the United Nations set up for specifically dealing with Palestinian refugees. Gaza now faces an unemployment rate above 50%, whilst more than 80% of the population are identified as living in poverty. Gaza’s sewerage system has now become completely over-run and has forced officials to announce that raw untreated sewerage will all now be, directly, pumped into the sea. Crime has also increased in Gaza due to the abject poverty, 97% of the water is undrinkable, the sole power plant in Gaza cannot operate due to lack of fuel and electricity is also only available between 2-6 hours per day. 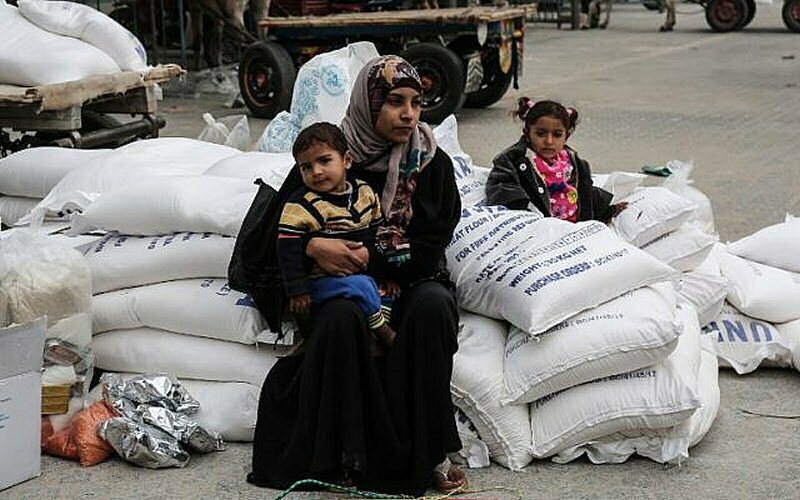 The United Nations Security Council yesterday addressed the humanitarian crisis, but there is yet to be any action taken for the desperate population of the Gaza Strip.